In the 1860s, jurists working to codify the Law of Nations, or international law, discussed universal standardization of time. 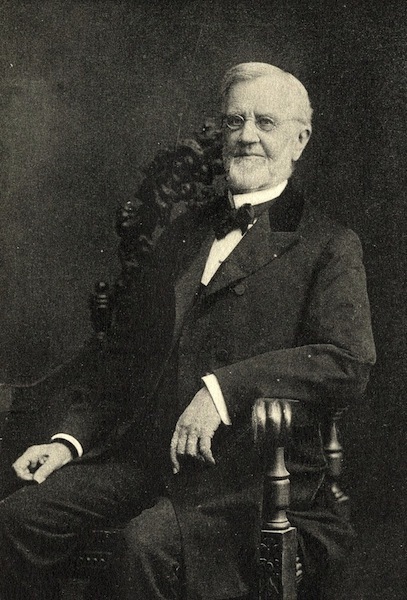 An American school principal, Charles F. Dowd (1825-1904, president and professor at the Temple Grove Seminary of Saratoga Springs, made an early case for time zones. Dowd proposed them first to his students and later at railroad managers’ conventions in New York City, Atlanta and Boston. 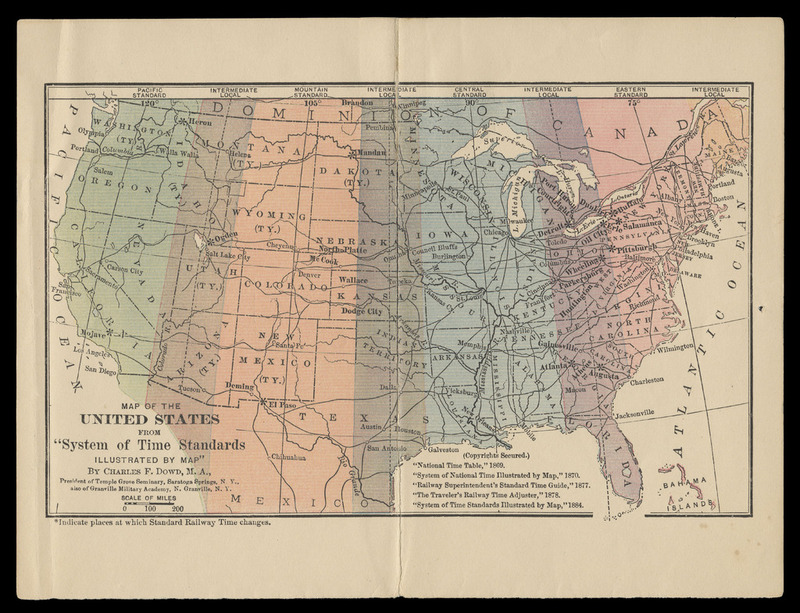 This 1884 colored map, Dowd’s fifth version, offers a 6-time-zone system for North America and accompanied a pamphlet that outlined his ideas and described his presentations to the railroad industry. Dowd's daughter, Bertha North, married into the Lester family. Her husband James W. was one of the "Lester Brothers" who ran the family real estate company. Dowd’s proposal responded to travelers’ confusion. Local solar time in towns along a route did not always match railroads’ timetables that were calculated using big city times. The timetables were especially out-of-synch for long distance travel. The US adopted a system of time zones in 1883, and in 1884 International Meridian Conference established standard time and a single meridian at Greenwich (UK), based on recommendations by Canadian railway engineer, Sir Sandford Fleming.